If you’re looking for a great activity for the kids to do at home this summer, let them make coffee can ice cream! It’s a fun way to make ice cream without using an ice cream maker, and it doubles as a fun science activity too. 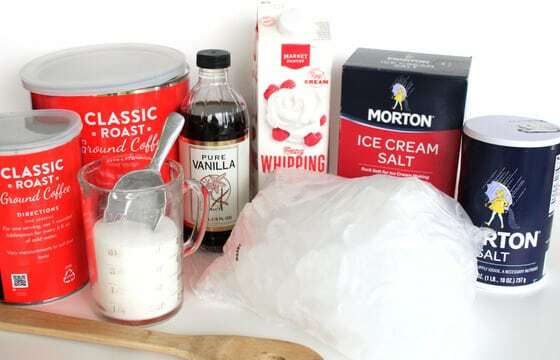 To make coffee can ice cream, you just need two tin cans, ice, rock salt, and a few basic supplies and ingredients. This is one of those classic childhood activities that every kid needs to experience. Ok, you know how much we love to make homemade ice cream here in my daycare, right? 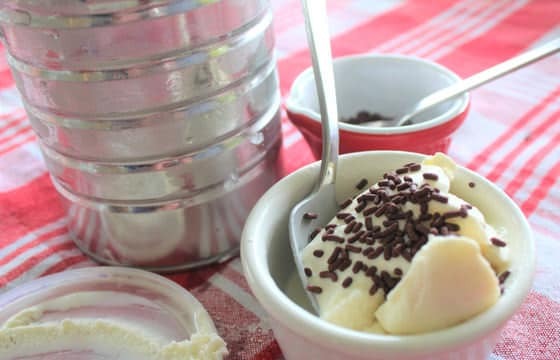 We’ve made ice cream out of snow and we’ve made ice cream out of a banana (yes, just one banana), and today, we’re going to show you how to make homemade vanilla ice cream in a can. If you’ve never made coffee can ice cream before, you have to try it. It’s a fascinating experiment! Your kids will turn a liquid into a solid with their very own hands, and they’ll get to eat the results. It’s kind of like when we we shook a jar of cream and watched it turn into butter, but the kids will find these results even yummier. 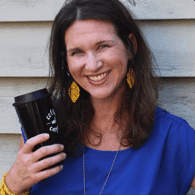 Thanks to Nicole from Coffee and Carpool for sharing her coffee can recipe with us today. Ok, Nicole! 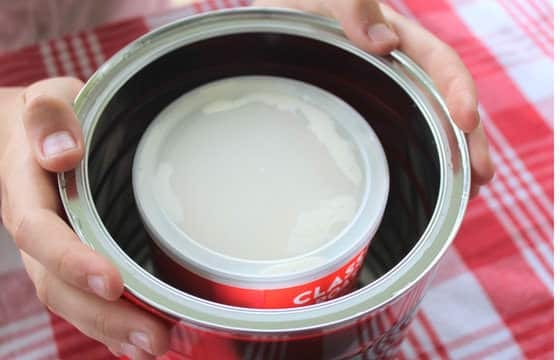 Show us how to make ice cream in a can! Making coffee can ice cream is a perfect backyard project for a hot summer day at home, and a fun group activity for daycare, preschool or summer camp as well. 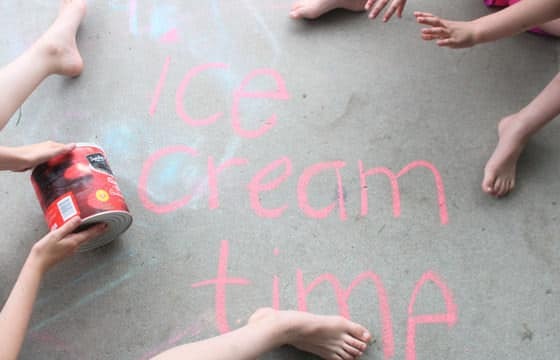 With this easy ice cream recipe, you’ll make a delicious batch of vanilla ice cream and sneak in some summer learning too. And sweet treats tend to taste even better when you make them together. 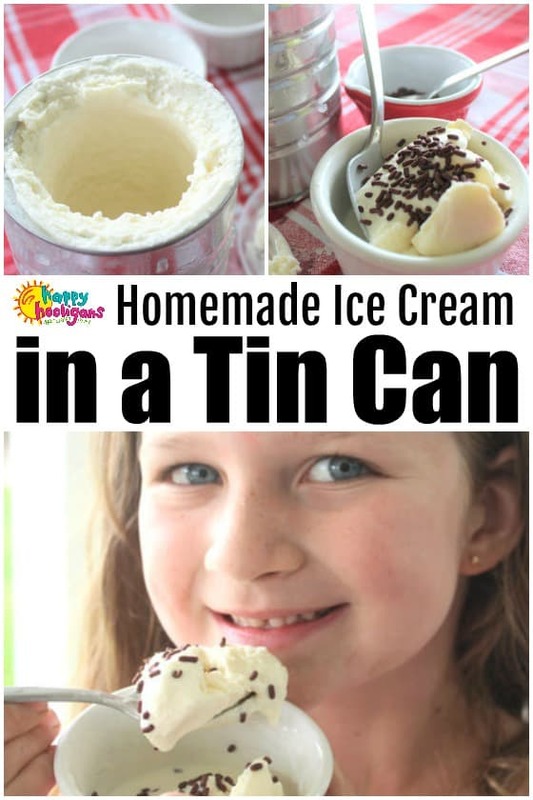 We dusted off an old homemade vanilla ice cream recipe my grandpa used to make with me, found some old coffee cans, and we made our own tin can ice cream. After my kids measured the ingredients, mixed and poured, and rolled their ice cream until it was frozen, they swore it tasted better than the ice cream we buy from the shop down the road. If your kids are home for the summer and you want to enjoy your time with them, without going crazy, read these 6 things we do every summer day in our house. Making ice cream and talking about the science behind it would be a perfect fit for #1 and #6 on this list! 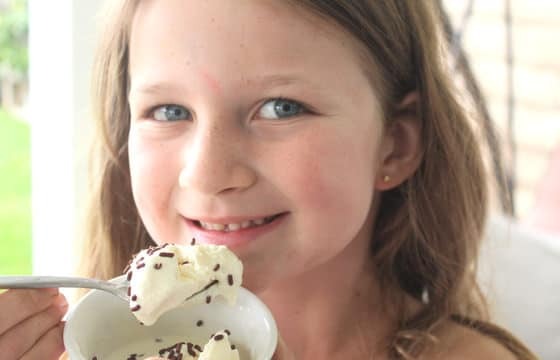 Homemade ice cream is fun to make and is delicious to eat, but it’s also a fun chemistry lesson, which makes it the perfect activity for a hot summer day. In order for the ice cream ingredients to freeze, we have to add ice. But ice alone won’t get the ingredients cold enough to freeze. 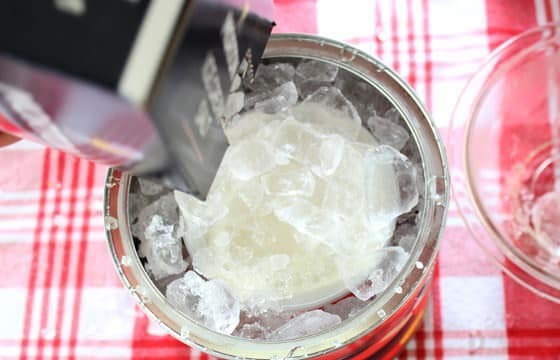 We have to add rock salt or ice cream salt to the ice. This special salt lowers the temperature of the ice, which lowers the freezing point, so the ice gets colder. And when the ice gets colder, it gets cold enough to freeze the ice cream ingredients into delicious ice cream that we can eat. Pour the heavy whipping cream, vanilla, sugar and salt into a mixing bowl and stir well. Pour the ice cream mixture into the small coffee can and secure the lid tightly. Place the small coffee can into the center of the large can. Surround the small coffee can with about one inch of ice, then sprinkle a heavy helping of rock salt on top. Add another layer of ice and then more salt. Continue layering until the salt and ice reach the very top of the coffee can. Secure the lid on the extra large coffee can. Roll and shake the coffee can back and forth. Vigorous rolling is needed for 15 or more minutes. Heat and humidity will affect the rolling time. As you roll the can, the ice will melt. Add more salt and more ice, draining some of the water as needed. When you check on your ice cream to see if it’s frozen, ensure that you don’t let the salty ice water drip into your ingredients or your ice cream will taste salty. 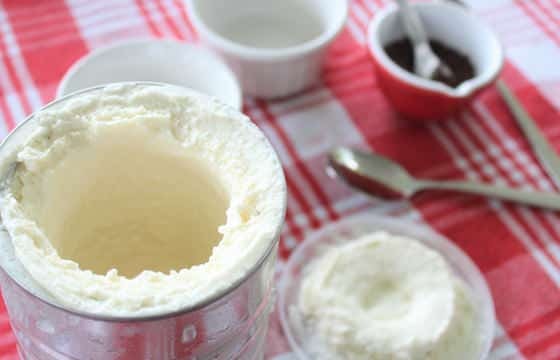 When the ice cream has frozen or is the consistency of soft-serve ice cream, transfer it to a bowl or container and let it harden further in the freezer. To serve your ice cream, simply scoop it into a bowl and enjoy! Feel free to add the your favourite ice cream toppings. We went with chocolate sprinkles! The outside of the extra large coffee can will get super-cold. If your kids have sensitive hands, mittens can help them continue to want to roll it back and forth. 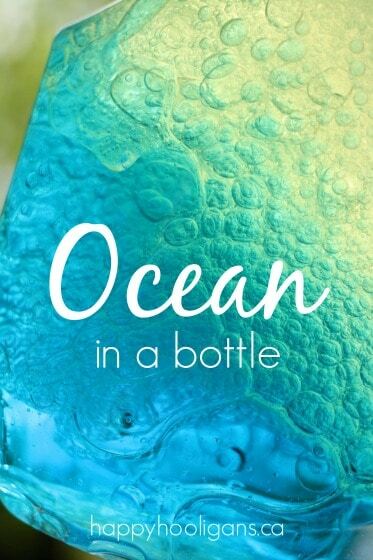 You may need to add more ice and rock salt 2-4 times throughout the process. Unlike ice cream you buy in the store, there are no ingredients in this ice cream to keep it from melting quickly. So it’s best eaten out of a bowl rather than an ice cream cone. If your kids are rolling the coffee can between friends, encourage them to roll the can quickly several times before rolling it to next person. I really hope you’ll try making coffee can ice cream with your children. It’s a great activity with delicious results, and you’ll be creating memories that you’ll all cherish for years. 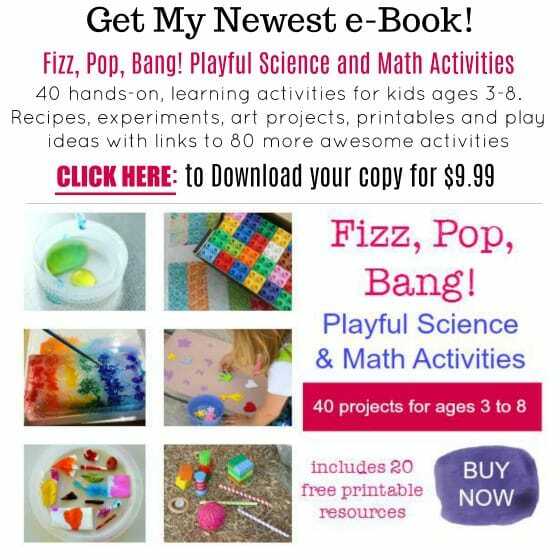 Looking for more fun, easy summer activities for the kids? 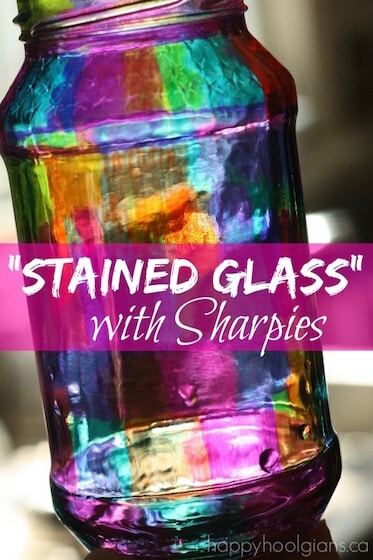 For more than 50+ ideas like this and a printable summer schedule, click here. 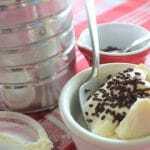 Make homemade vanilla ice cream in a tin coffee can this summer! 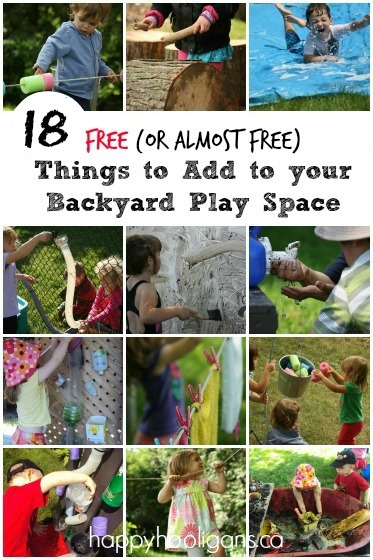 It's a perfect backyard activity to keep your kids cool this summer. 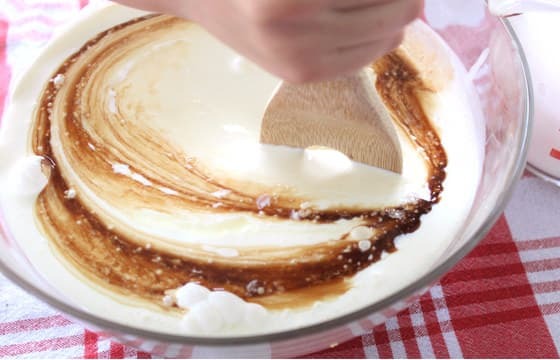 In a mixing bowl, pour the heavy whipping cream, vanilla, sugar, and salt and mix well. Place the small coffee can into the center of the large coffee can. Surround the small coffee can with about one inch of ice, then sprinkle a heavy heaping of rock salt on top. Add another layer of ice and then salt. Continue until the salt and ice reach the very top of the coffee can. 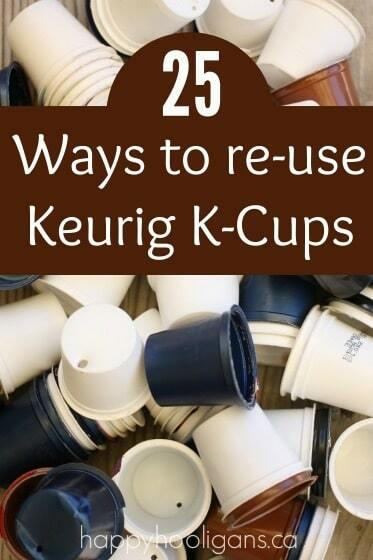 Roll and shake the coffee cans back and forth. Vigorous rolling is needed for 15-30 minutes. As you roll it, the ice will melt. Add more salt and more ice, draining some of the water as needed. When the ice cream is frozen or has the consistency of soft serve, transfer the ice cream to a bowl or container and let it harden further in the freezer. The outside of the extra large coffee can will get super cold. If your kids have sensitive hands, mittens can help them continue to want to roll it back and forth. Unlike ice cream you buy in the store, there are no ingredients in this to keep the ice cream from melting quickly. So this ice cream is best eaten out of a bowl rather than an ice cream cone. 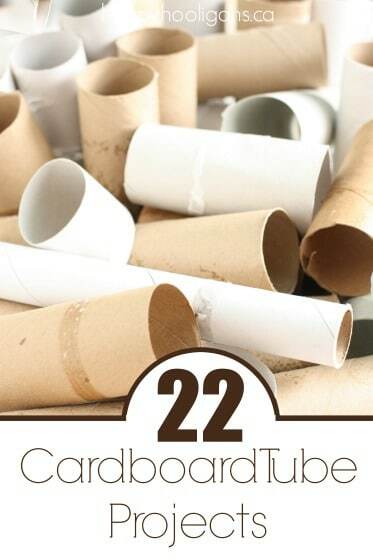 Encourage your kids to roll the coffee can quickly several times before rolling it to a friend or sibling.